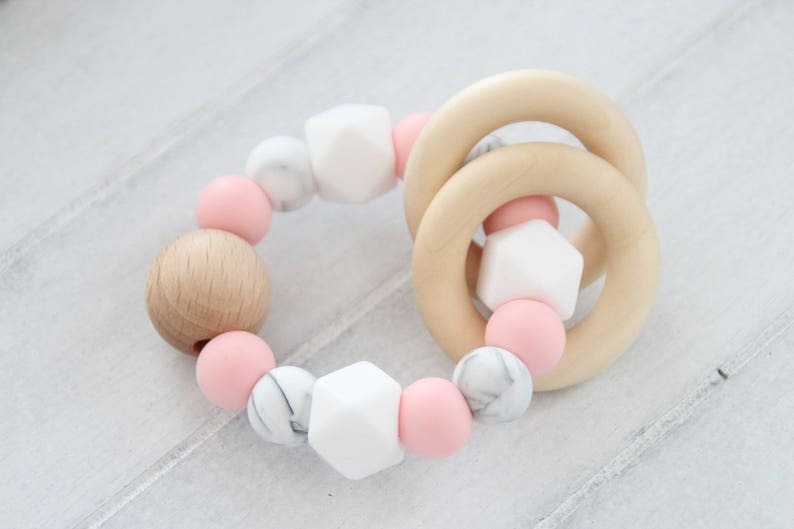 This bracelet-toy will be perfect for your baby's gums. 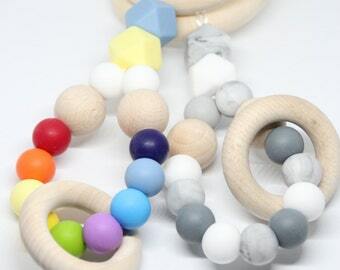 Beads are soft and light, perfect for teething. 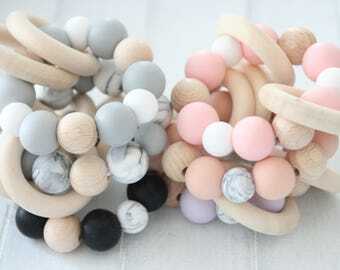 While Your baby will chew these beads, his/her gums will be massaged. Toy will keep little fingers from pulling your hair. 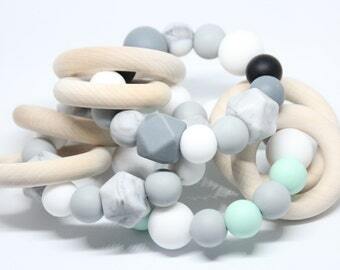 Beads are made from 100% food grade silicone. 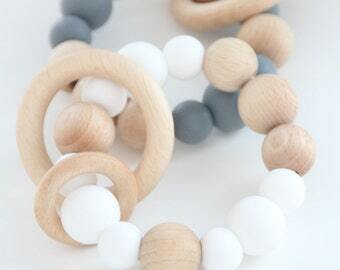 These beads are FREE from BPA, PVC, Cadmium, Latex and Lead. 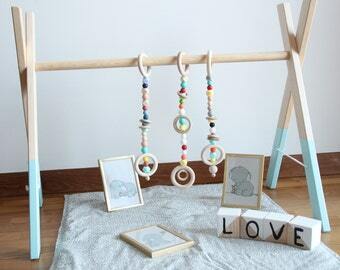 Wooden rings are 5,6 cm in diameter. 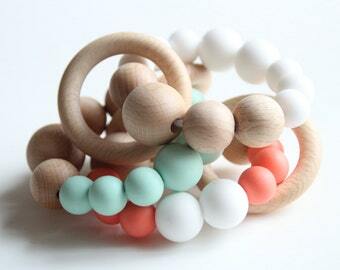 Made of 19 mm, 15 mm silicone beads, wooden rings. Do not leave the baby alone with the toy! Easily cleaned with warm water and mild soap. J’adore sa couleur marbrée et ses tons pastel tous doux. 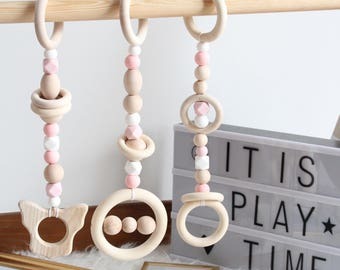 J’adore ces créations et le fait que tout soit naturel et en bois. These are absolutely amazing! Hands down my daughter’s favorite toys. I’m very impressed with the quality and fast shipping, especially coming from another country. We bring these everywhere! I accept Paypal and credit cards. Payment is expected to be done in three days time. After this period, the order will be cancelled. If you need more time to pay, let me know and I can reserve the item for you. I also accept credit card, debit card and ETSY gift card! I accept returns until one month after the shipping date. It will be expected that you cover the return shipping costs. If the parcel is lost in the post office contact me and I will start investigation. After 30-60 days I can do money refund. I ship worldwide, from Latvia. I ship in 1-3 working days after payment. Usually I send using letter mail with tracking number. If you would like to have a registered letter, please contact me before making a purchase.